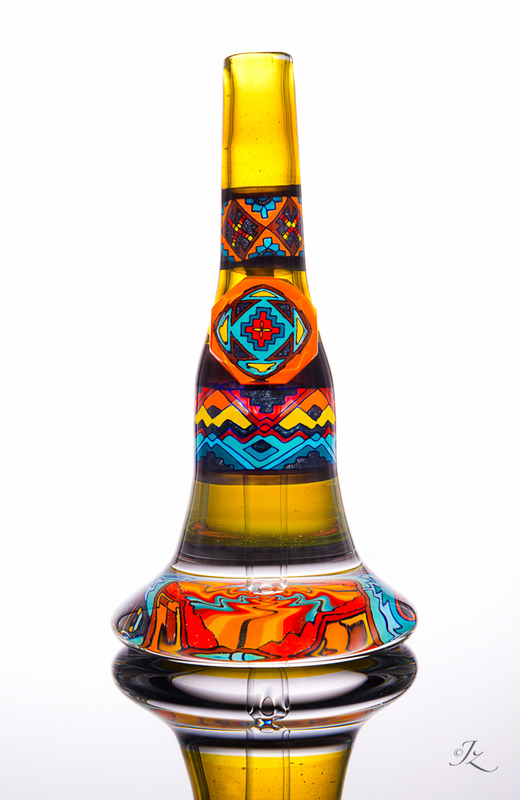 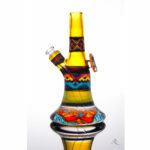 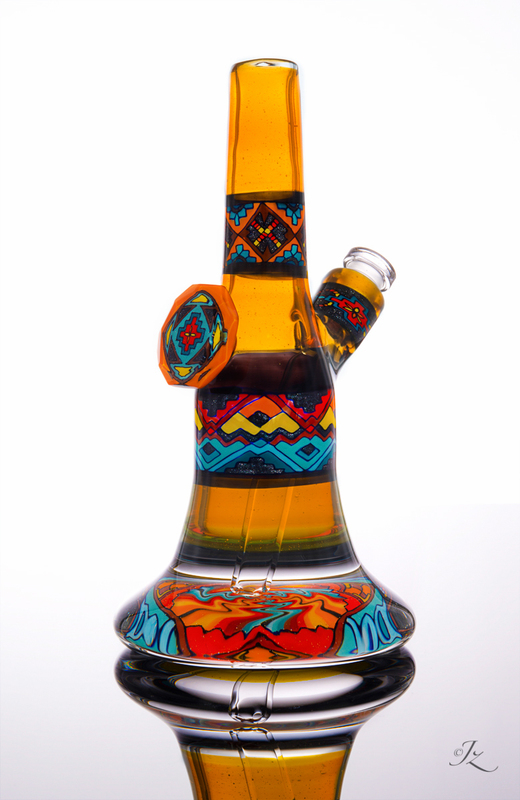 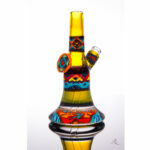 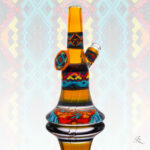 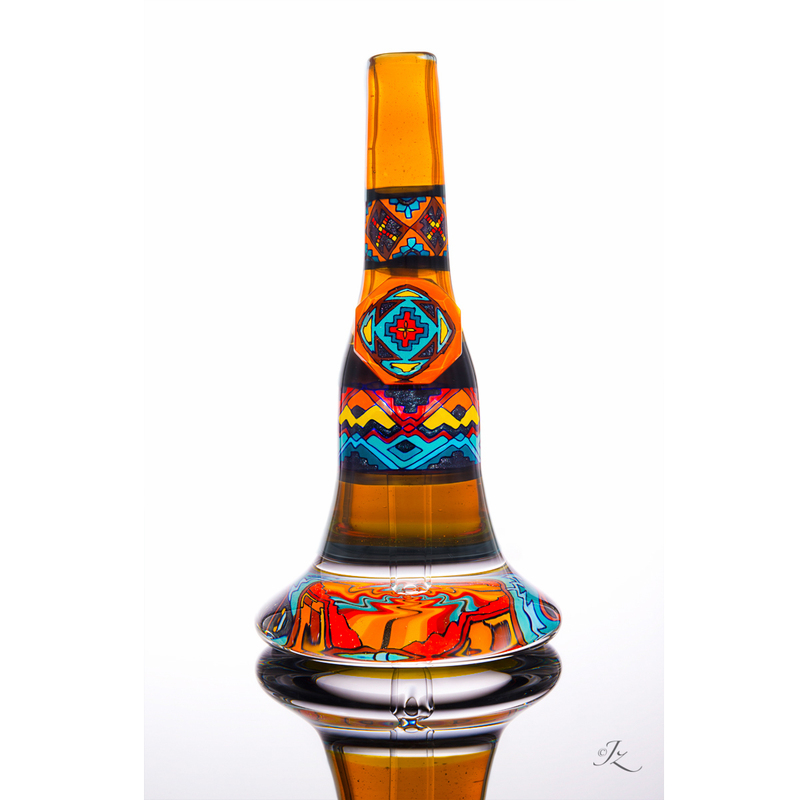 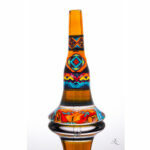 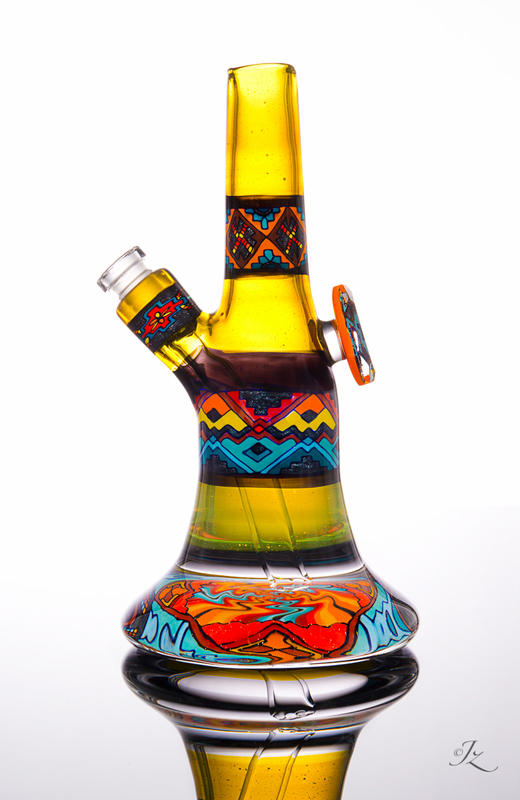 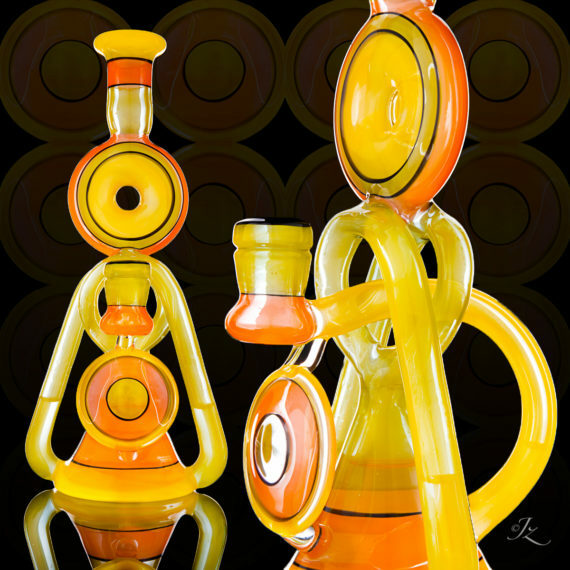 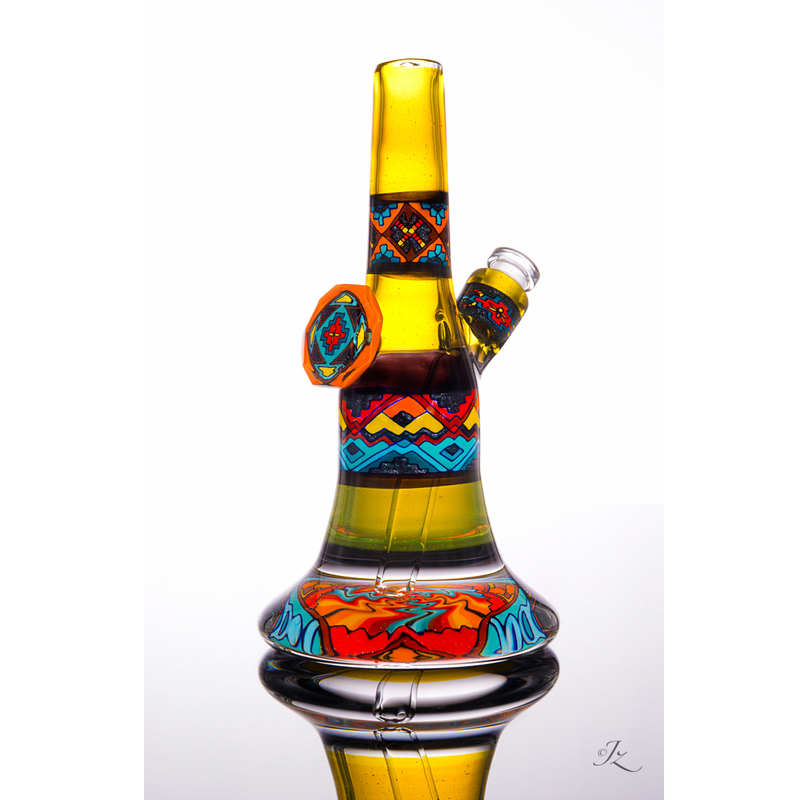 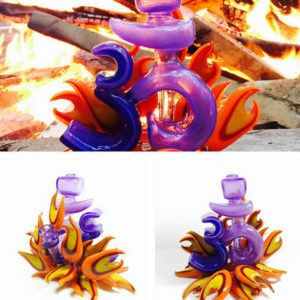 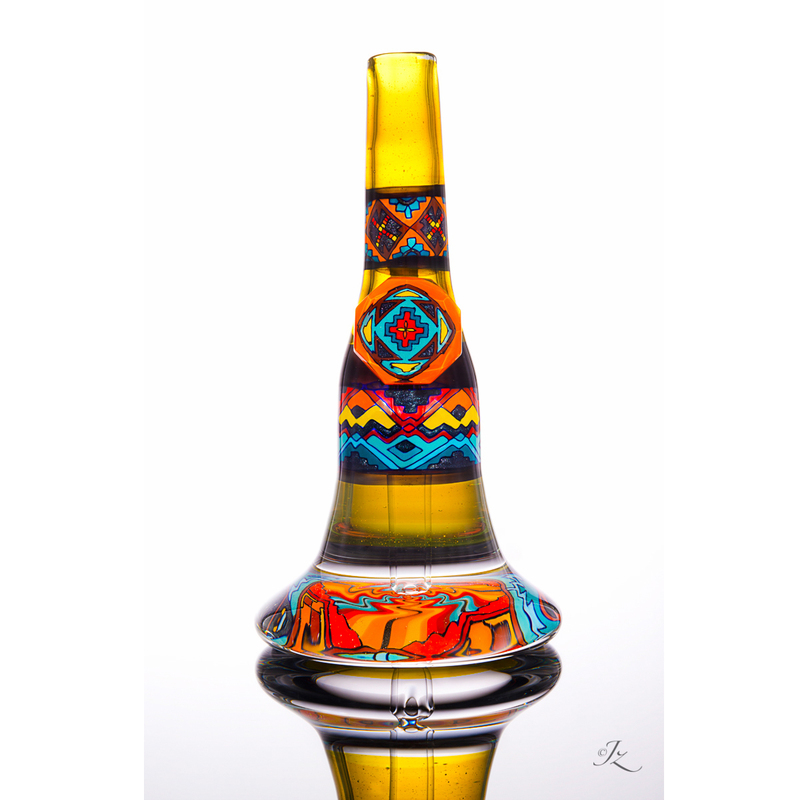 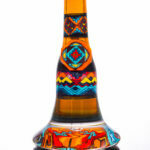 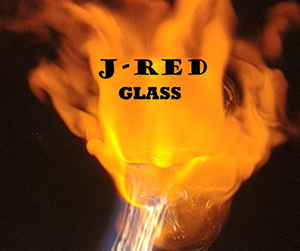 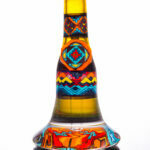 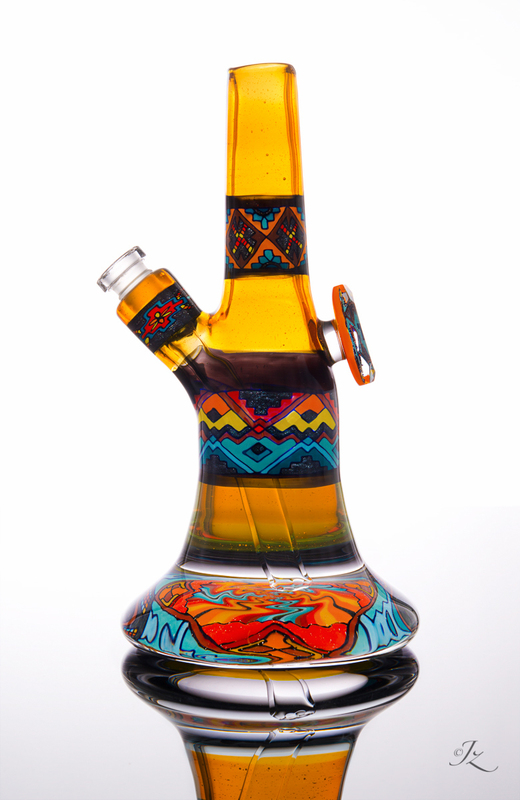 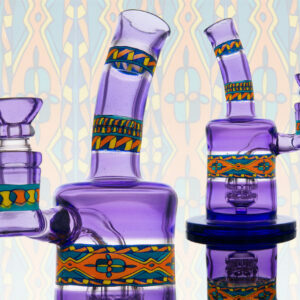 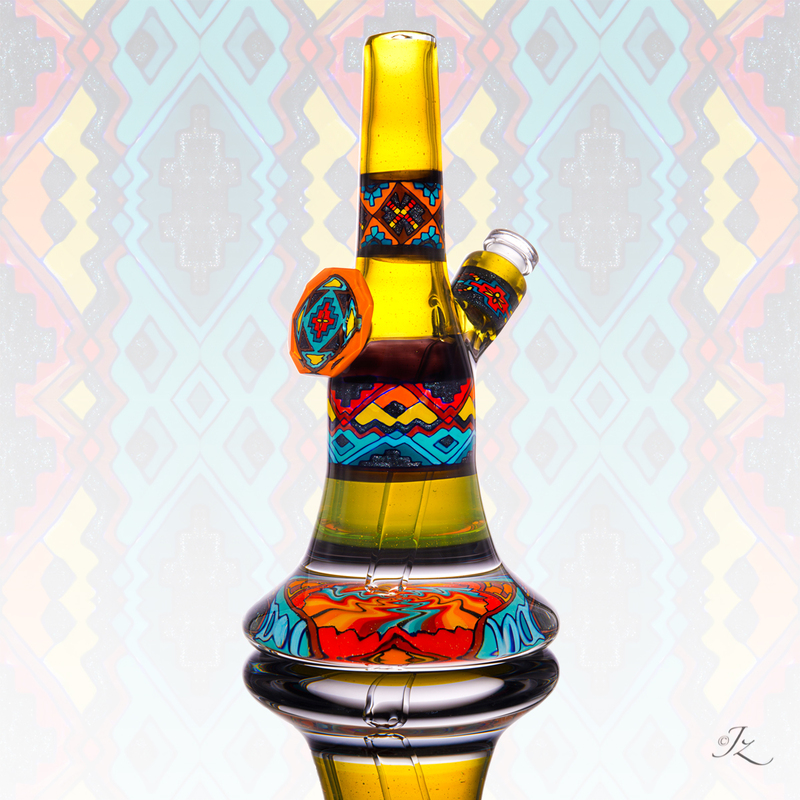 This HOT Fire and Ice piece is a collaboration of fillacello patterns by J-RED and Brian Jacobson. 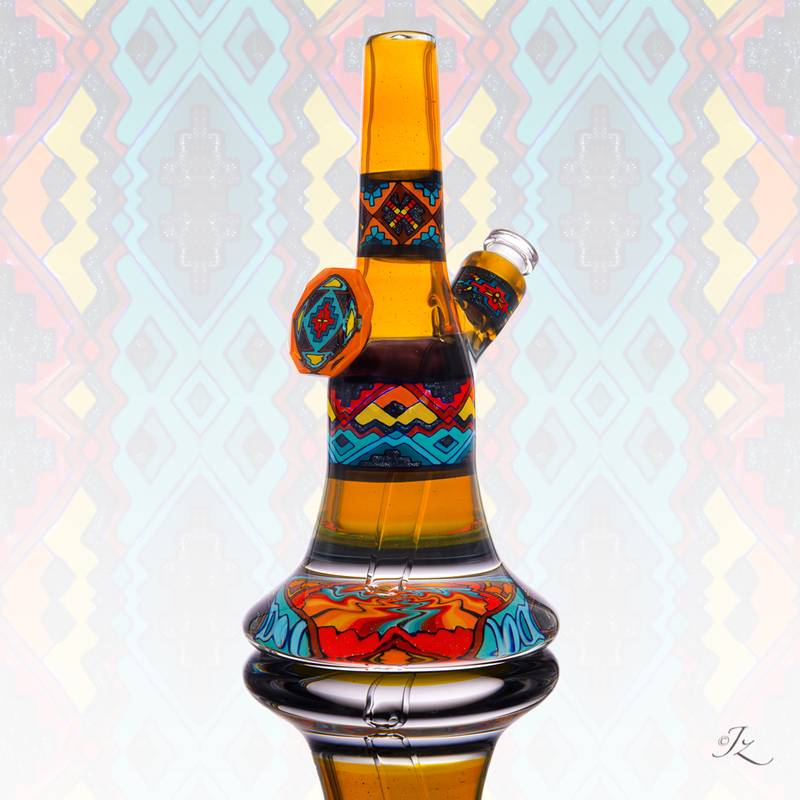 The color contrast of hot and cool colors really makes this one pop! 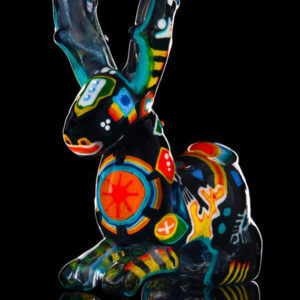 It stands at about 9 inches tall and are “terps” and “eclipse” CFL colored tube.